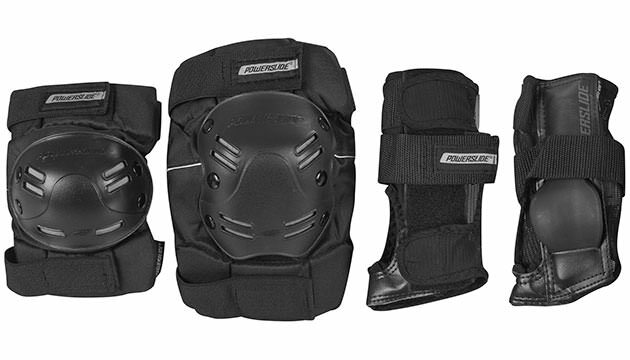 The Powerslide Allround protection set meets the demands of the cross skating sport. The black protectors have an elastic sleeve with velcro fastening. The outside part has a hardplastic protection plate fro shock absorption. We recommend to rather take 1 size larger if not sure.